Let’s spice it up a bit! Adding spices to your meals is a great way to boost your metabolism & blast belly fat. Cooking shrimp in their shells keeps them juicy and tender. Note: The spicy shrimp, paired with our tasty, high fiber Quinoa salad- it’s a definite hit! In a large bowl, combine fresh squeezed lemon juice, pour 1 tablespoon of olive oil, 4 cloves finely minced garlic, paprika, cayenne pepper, and sea salt to taste. 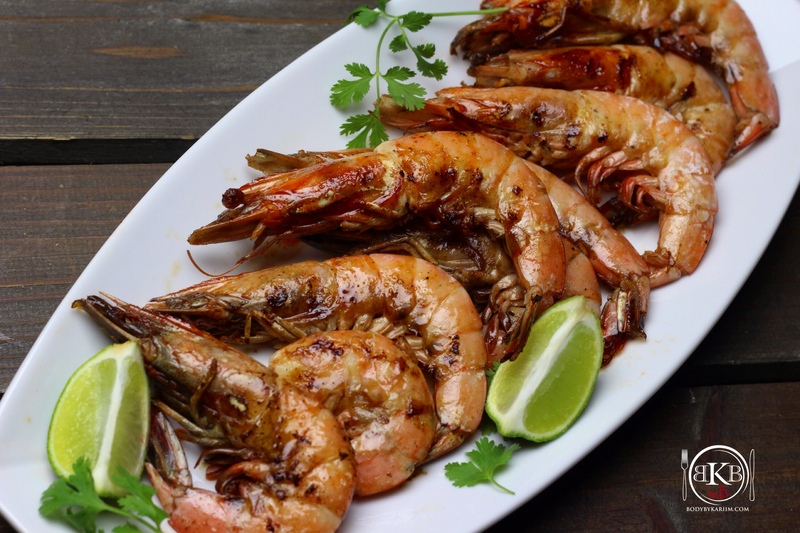 Toss jumbo shrimp in mixture and let stand/marinade for at least 1 hour. Pre-Heat grill pan to med-high heat. Place shrimp on grill, with little space between each. Cook until flesh is opaque or the shell is a tinge of pink.